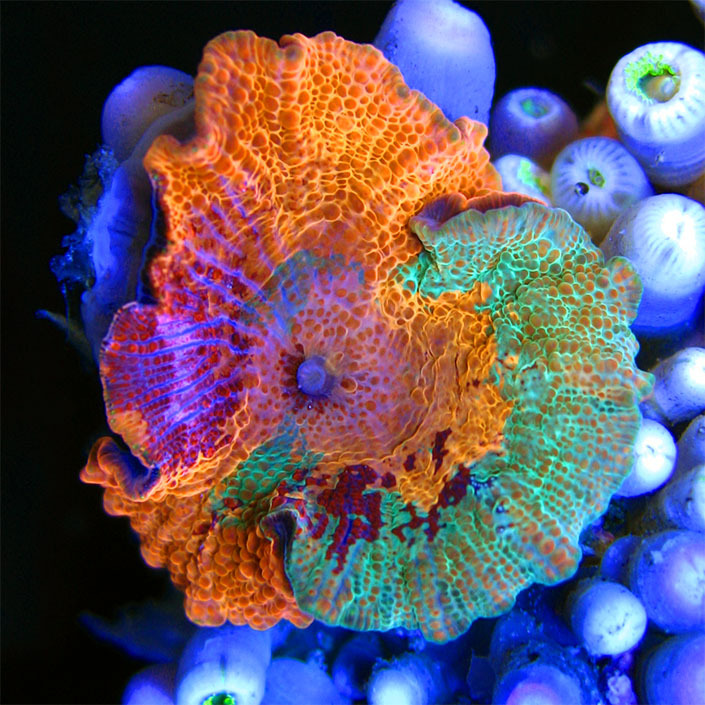 This article is about one of the easiest corals to care for: soft mushrooms. If you are looking to start putting corals in your established saltwater aquarium, then soft mushroom corals may be what you are looking for. 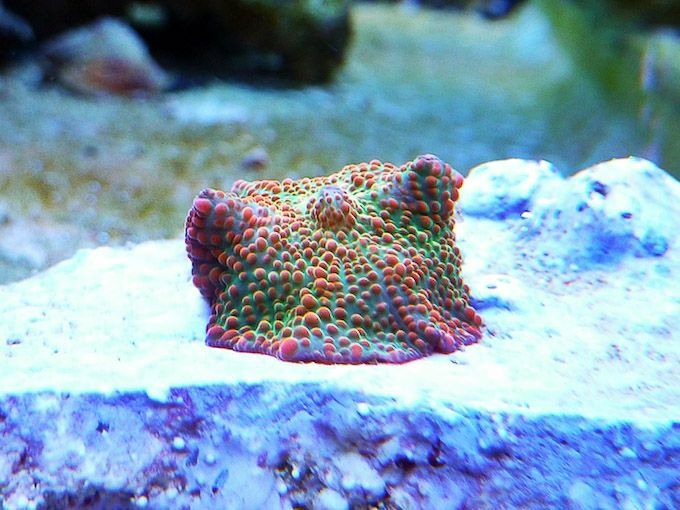 With many colors and textures to choose from these are some of the more popular corals for beginner coral keepers. The soft mushroom is also hardy and easy to care for, which allows them to be some of the most low-maintenance corals on the market, which is why many beginners “test the waters” with mushrooms as well. Not to mention that their tolerance of less than perfect water and lower light requirements makes them all the more attractive. With a multitude of colors, the soft mushroom coral is a terrific first addition to any saltwater aquarium hobbyist that is wanting to turn a fish only tank into a reef. The following water parameters are suggested when trying to keep soft mushrrom corals in your tank. Since soft mushroom corals do not have a calcified skeleton structure, they are much more tolerant of alkalinity, calcium, and magnesium difference in comparison to many other corals. They do not take well to pH, temperature, or salinity changes like any other saltwater coral or fish, though. Lighting is important when it comes to the aesthetic and long-term health of soft mushrooms. This is because if there is too little or too much light, the coral will not be as healthy as it could be. Lighting that is too weak will make the coral try to stretch to the surface of the aquarium in order to get more light. 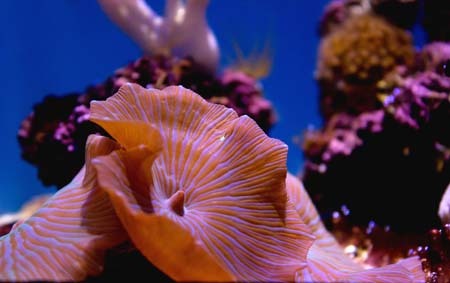 The stretching of the soft mushroom coral will make it appear in a somewhat funnel shape. If the lighting is too high, then the coral will start to lose color and become “bleached”. Sometimes there will also be curling at the edge of the head if there is too much lighting. When the lighting is perfect for the soft mushroom coral it will appear flat on the rock as seen in the pictures provided throughout the article. These corals do best when they are placed on the love rock in your tank because they have a "foot" like anemonies and like to attach to hard, sturdy surfaces.